VILLA HILLS. Villa Hills, a residential city in northern Kenton Co. is bordered by the Ohio River and Bromley on the north, by Erlanger and Boone Co. on the west, and by Crescent Springs on the south and east. It was incorporated as a sixth class city in 1962. The first known permanent settlers arrived in about 1785. Robert McKay, his wife, and seven children traveled from Frederick Co. Va. to settle on land that was deeded to him for service in the Revolutionary War. His land was bounded by the Ohio River, Dry Creek, and Pleasant Run Creek. It is believed that the McKays owned around 3,000 acres. In 1825, the granddaughter of Robert McKay married Charles W. Scott and was deeded about 300 acres. In 1843 the Scotts began construction of a two-story white brick house that stood until 2004 on Highwater Rd. overlooking the Ohio River. The Scott home place had been continuously occupied by family members from 1843-2004. In 1903 the Sisters of St. Benedict purchased about 85 acres of the W.C. Collins Estate, on which were built the St. Walburg Monastery and the Villa Madonna Academy, which was originally a boarding and day school for girls. The sisters continued to purchase adjacent property and currently own about 230 acres. This land is now home to Villa Daycare; Villa Montessori School; the modern Villa Madonna Academy, a private coeducational school for grades 1-12; the St. Walburg Monastery and Motherhouse; several historic homes; a cemetery for the sisters; and the Madonna Manor Nursing Home, opened by the sisters in 1964. The full-care nursing home is surrounded by independent-living apartments. Around 1900, what is now Villa Hills was unincorporated county farmland dubbed unofficially Madonna Acres and Ludlow. Some of the farm owners at that time were named Boh, Cleveland, Collins, Eubanks, Kremer, Krumpelman, Maegley, Schreck, Scott, Summe, and Thirs. The creation of I-75 in the early 1960s brought residents from the cities to the new suburbs. The streets existing then were Buttermilk Pike and Collins and Amsterdam Rds. With the 1955 sale of the Boh and Schreck farms came the development of new streets: Ann, Frank, Kenridge, Mary, Rardin Ct., and Sunglow. In 1962 the population was 425. Fearing annexation from Covington, a group of neighbors formed a board of trustees and borrowed $300 from the Villa Hills Civic Club to incorporate as a city. The original trustees of Villa Hills were George Parsons, chairman, William Krumpelman, Roger Nolting, Robert Springelmeyer, and Robert Stephenson. Harry Rigney was police judge; Gerhard Tebelman, marshal; Joseph Spille, treasurer; and Betty Stivers, secretary pro tem. The first order of business was to annex the property surrounding the original one-half square mile of Villa Hills. The property was obtained and Villa Hills grew to 3.5 square miles. Around 1980, the first Villa Hills City Building was built on Rogers Rd., providing a permanent home to the Villa Hills Police and Public Works departments. The year 1980 also brought the annexation of Prospect Point, a condominium and apartment community off Amsterdam Rd. overlooking the Ohio River. In 1990 the city began its curbside recycling program. River Ridge Elementary School, on Amsterdam Rd., opened in 1992, replacing the aged Crescent Springs School. At the time, River Ridge was the largest elementary school in the state. 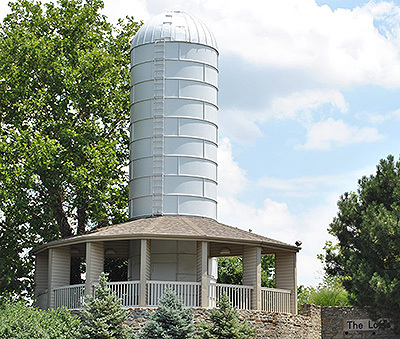 Although the small town of Villa Hills was incorporated into a sixth-class city in 1962, the area where the city sits was home to luscious farmland dating back to the time when Kentucky was still part of Virginia. The development of Villa Hills is the story of the birth of a suburb. It is the perfect example of population sprawling away from the larger cities, as people looked for a more rural setting to raise their families. In the late 1950s, what they found was unincorporated Kenton County, bounded by the tiny town of Crescent Springs and the Ohio River. At this pivotal time in the area’s history, farmers were beginning to sell their land and builders were breaking ground on three-bedroom ranch homes and four-bedroom two stories. Images of America: Villa Hills presents the history of the farmers who worked the land, the Benedictine sisters who established a monastery, and the young families who worked together to build the city now known as Villa Hills. 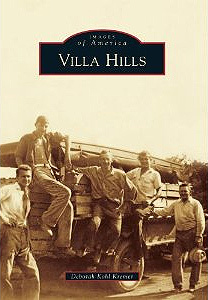 Addiitional titles referencing Villa HIlls includes the Images of America series book on Villa HIlls by Deborah Kohl Kremer.